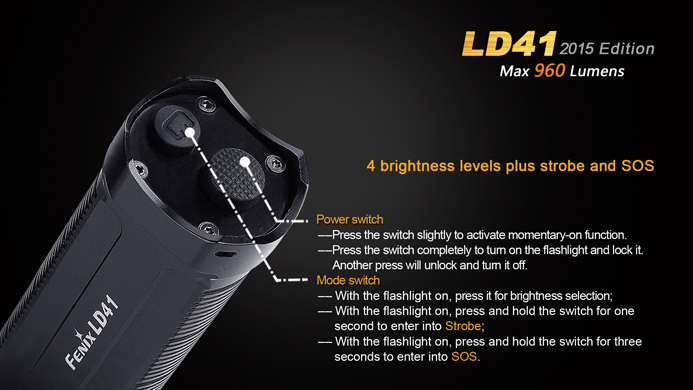 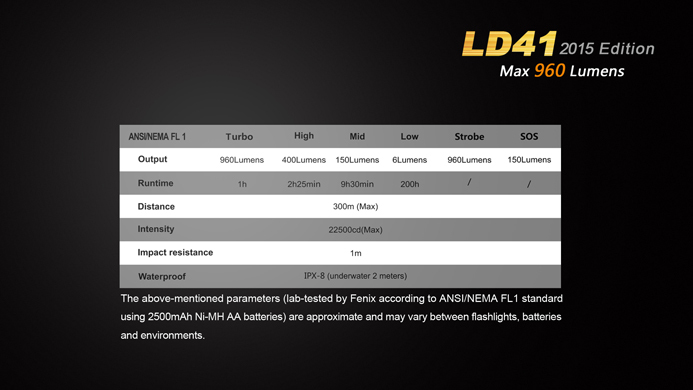 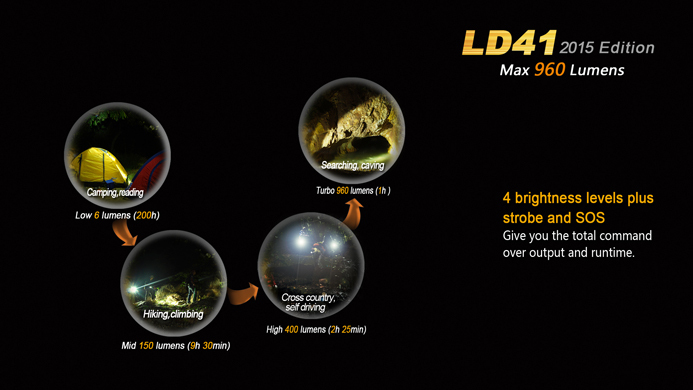 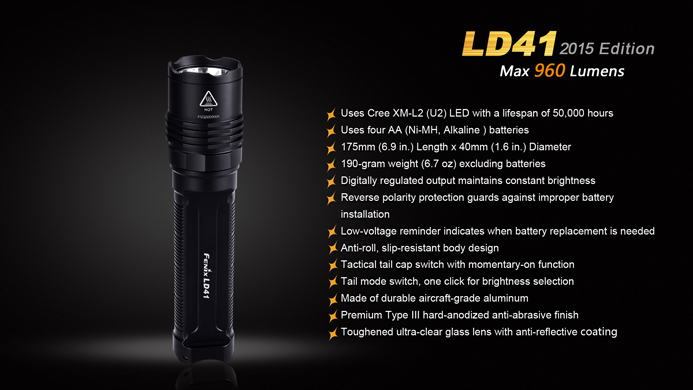 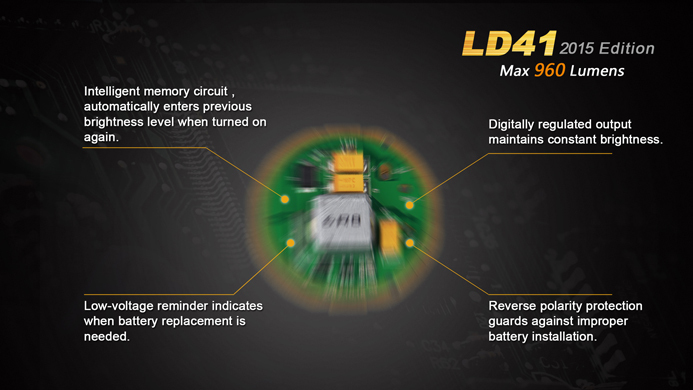 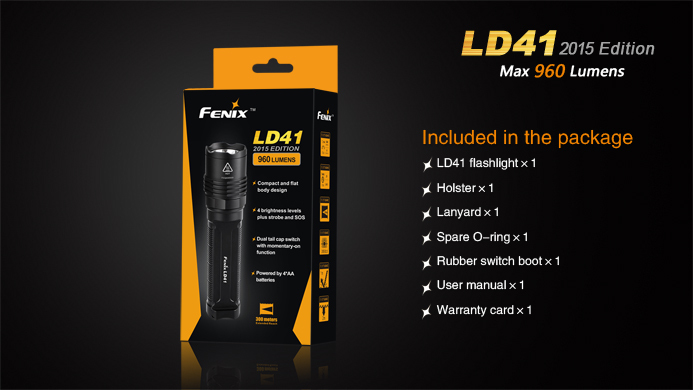 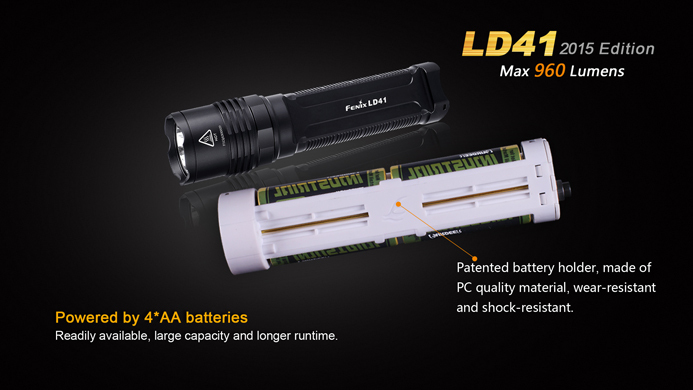 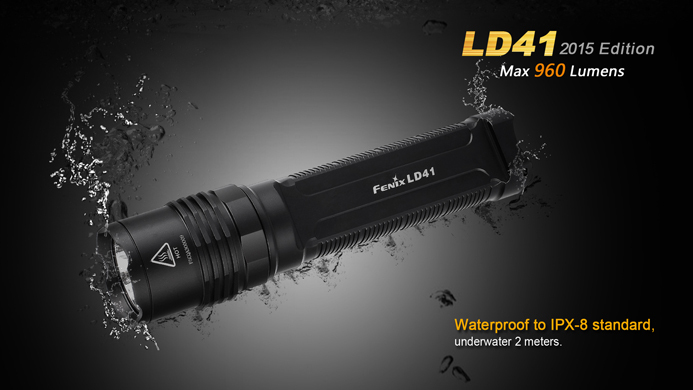 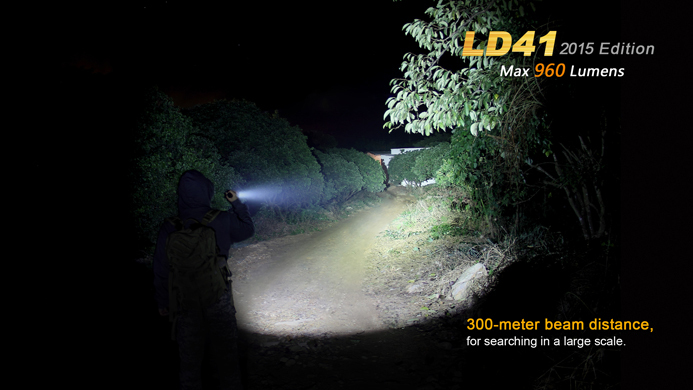 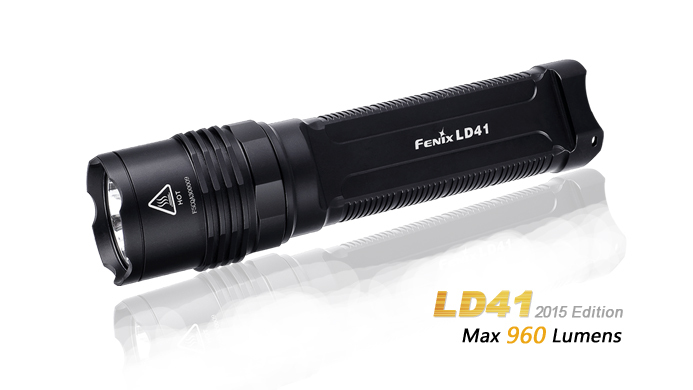 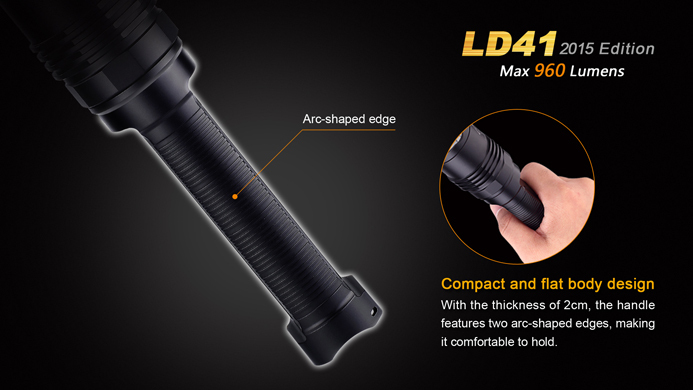 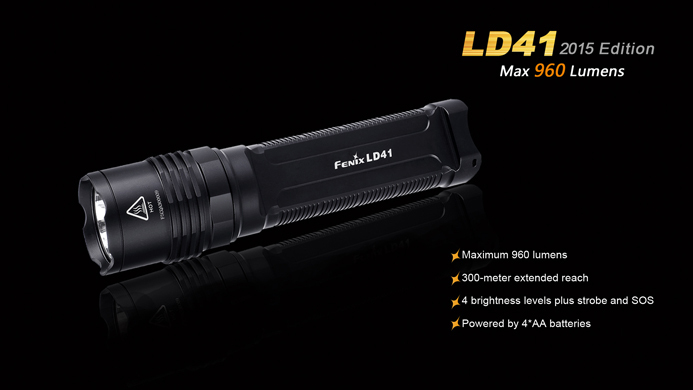 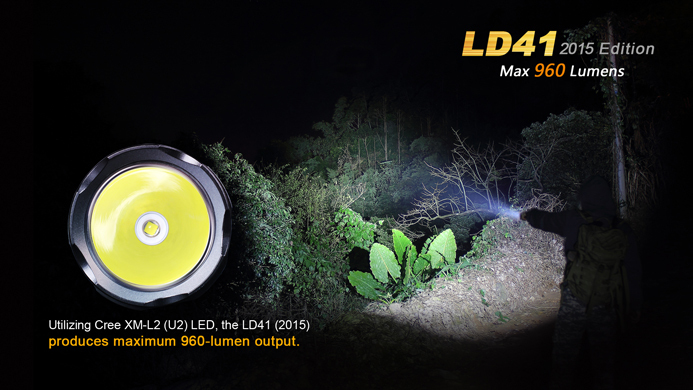 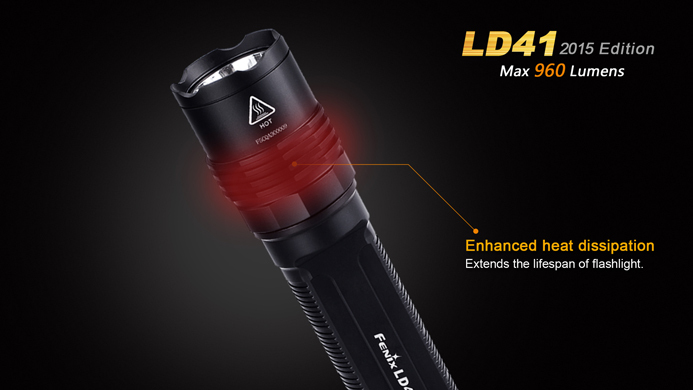 The powerful LD41 has now been upgraded to a whopping 960 Lumens! 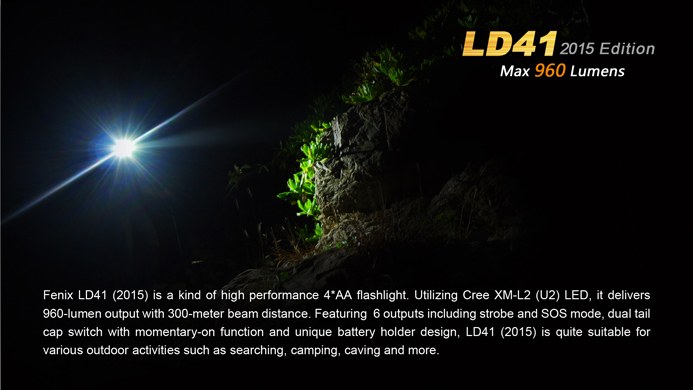 This high-performance Cree XM-L2(U2) LED is powered by four AA batteries...creating a high demand due to the ease in accessing the common AA alkaline battery. 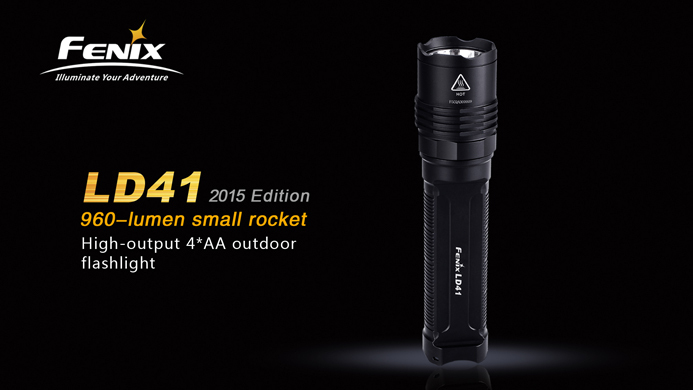 This "small rocket" is a great light for various outdoor activities such as searching, camping, caving, etc.